Indoor & Outdoor Gardening in Montana: Blooming Tuesday, Etc. Our first daffodils of the season opened today! 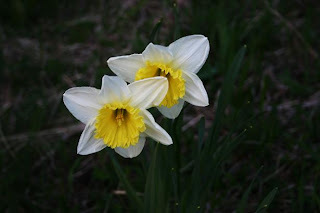 Click on them to go over to Jean's blog and Blooming Tuesday to see more blogs with blossoms. 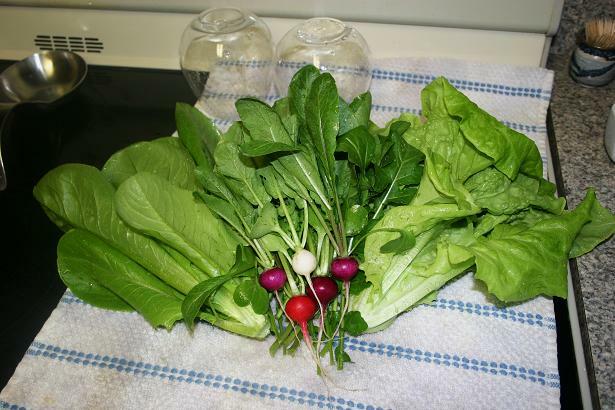 We're harvesting lettuce, radishes, arugula and green onions out of the greenhouse on a regular basis now. I love that we have enough lettuce to have a home grown salad at dinner every night! 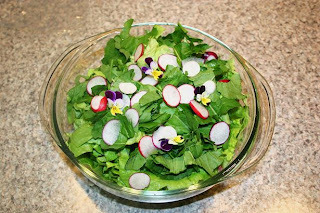 These are some spicy salads with both arugula and radishes in there. Look closely and you'll see some violas thrown in for color. Did you know they're edible? An update on the garden work. We (particularly Jeff) have really had our hands full with the garden! 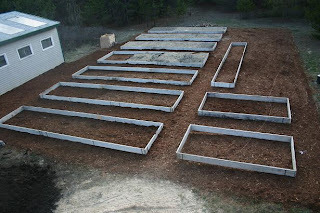 The shade bed up against the side of the greenhouse is the only one left to be built. 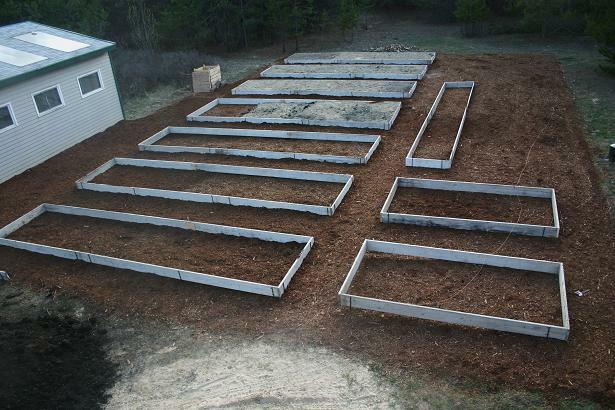 Next on the agenda is to put up a deer fence, and fill the beds with dirt! We just got our dwarf fruit trees, raspberries, honeyberries and currants in yesterday. Right now they are in a holding pattern in the greenhouse while Jeff works quickly to get things done! We'll post more about those once they're planted. Pretty blooms and a delicious salad! That lettuce and radishes look great. You're tiring me out with your list of things to do, though! Thanks for the comments! We definitely have a lot of work. My husband is able to work on this full-time now. Without that option, this wouldn't be possible. OK, now that we know violas are edible... what do they taste like? How neat to have fresh vegetables in northern Montana at this time of year!